YJ Maecenas - a beautiful pattern with support for adaptive functions of the design studio YouJoomla, which is perfect for creating websites portfolio. 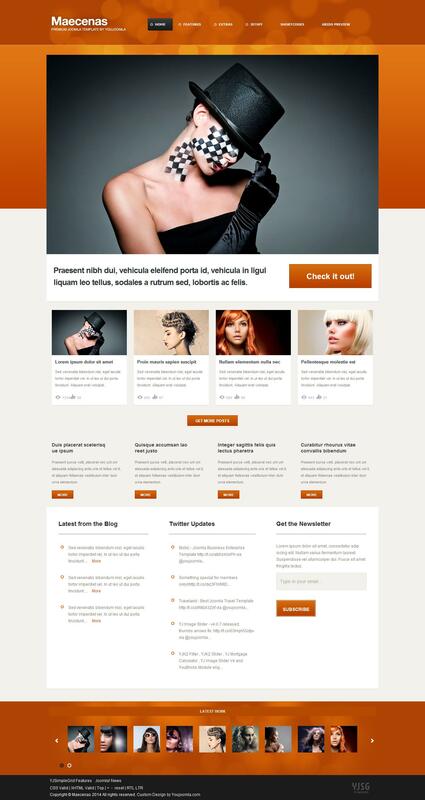 This template includes 3 preset styles, 8 custom styles for modules and 3 types of animation effects, allowing the site to give a special unique and original look. In the assembly includes the best clubs modules YJ Image Slider, YouYork Modules Slider, YJ Multi Tabs, YJ Latest Tweets, MultiMedia Box, YJME and YouBricks Engine Module, which in combination with K2 component will provide a flexible and convenient placement and publication of materials on the site. Corporate framework studio Rock Solid Framework provides full code optimization, cross-browser support and fast download speed.